Hypoallergenic Marseille soaps for for sensitive skin - ESI S.p.A.
Our all natural Marseille soaps are enriched with olive oil which is known for its invigorating and antimicrobial properties. This product line is hypoallergenic: it doesn’t contain colourings, fragrances, parabens, SLS and SLES. It’s ideal for cleaning sensitive, delicate skin and can be used as often as needed. 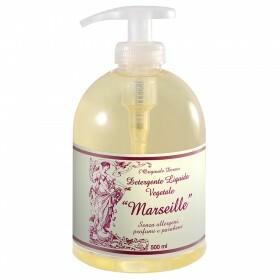 Marseille soaps are available in solid and liquid form, they respect the skin’s natural hydration, and protect it from damaging external agents.